MELBOURNE, Fla., BETHPAGE, N.Y., and LONDON, Nov. 4, 2010 -- In just four months since signing a $517 million agreement with the United States Army to build three airships with 21-day persistent intelligence, surveillance and reconnaissance (ISR) capability, Northrop Grumman's (NYSE:NOC) Long Endurance Multi-Intelligence Vehicle (LEMV) program team has completed three important program milestones. The team is headed toward its fourth, the Critical Design Review (CDR), by the end of first quarter FY11. "In less than four months time, we have completed our System Readiness Review (SRR), Initial Baseline Review (IBR) and our Preliminary Design Review (PDR) which looks at the hybrid air vehicle design, ground station infrastructure, and ground and airborne system software," said Alan Metzger, Northrop Grumman vice president and integrated program team leader of LEMV and airship programs. The June 14, 2010, agreement provides for the design, development and testing of the first long endurance airship within an 18-month time period. "We have made great progress to date and have a great partnership with the Army. As we move forward, we look to inflate our first vehicle next spring, and our first flight is scheduled for mid-next summer," Metzger said. "Upon completion of the development ground and flight testing phase, we expect to transition to a government facility and conduct our final acceptance test in December 2011. It's a very aggressive, almost unprecedented schedule from concept-to-combat with a first of its kind system." In early 2012, LEMV will be transported for demonstration in an operational environment. The program then transitions from the U.S. Army Space and Missile Defense Command (USA SMDC) control to the project manager for the Army's unmanned aircraft systems. Northrop Grumman has designed a system with plug-and-play capability to provide warfighters with a system that can rapidly accommodate next generation sensors as emerging field requirements dictate. "Our solution readily integrates into the Army's existing Universal Ground Control Station (UGCS) and Deployable Common Ground System (DCGS) command centers and ground troops in forward operating bases—the main objective is to provide U.S. warfighters with persistent ISR capability to increase awareness of the ever changing battlefield. 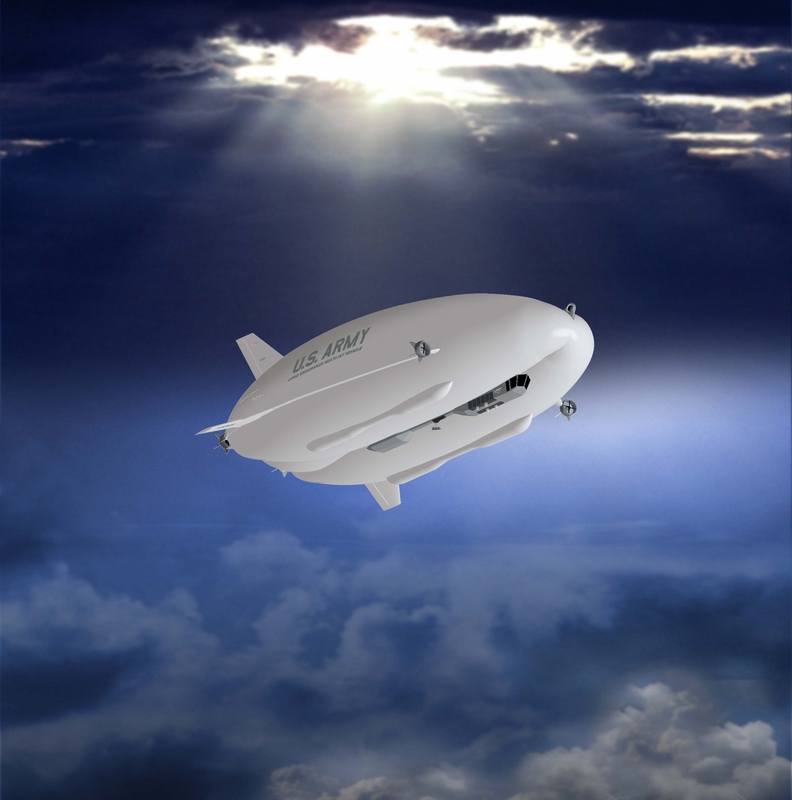 "LEMV is longer than a football field, taller than a seven-story building and will remain airborne for more than three weeks at a time, delivering a high level of fuel efficiency. Fuel costs are minimal at $11,000 for a 21-day period of service. It's very green," Metzger added. Northrop Grumman has teamed with Hybrid Air Vehicles, Ltd. of the United Kingdom using its HAV304 platform, Warwick Mills, ILC Dover, AAI Corporation, SAIC and a team of technology leaders from 18 U.S. states and three countries to build LEMV. Northrop Grumman will provide system integration expertise and flight and ground control operations to safely take off and land the unmanned vehicle for worldwide operations.